It was almost bedtime before Mia Shanley finally sat down to do her homework. The rest of the house was quiet, except for the nursery downstairs, where her mother Maura was busy taking care of the new twins. Her father Kyle was working late at his new paramedic job and wouldn’t be home until morning. Everyone else was sleeping, so she had no one to help her with that crummy homework. Mia took a break from scribbling and stared into space for awhile. She thought about her new siblings and wished for a moment that she had been a twin. They got all the attention! Her mom was so busy potty-training and diaper-changing that Mia barely saw her anymore. She was glad to have her aunt Aurora around, though. Since Aurora was only a little older than Mia, they could hang out and play together. No one seemed to mind if they had pillow fights and littered the floor with feathers (especially since the feathers seemed to magically disappear moments later). Aurora even taught Mia how to make muffins in their little oven for breakfast. Since everyone was too busy to cook for them, those muffins came in pretty handy. Sometimes Mia’s grandmother Demi would lecture her about “building her skills” and send her off to the reading room in order to study weird books on cooking and housekeeping. Why was learning how to make chili con carne so darned important? Mia didn’t understand it. Especially since Aurora got to do whatever she wanted, like play chess with Kyle (Mia’s dad, Aurora’s brother) all the time. One day a terrible thing happened in Shanley Hall. The patriarch of the family, Gary, was standing in the kitchen with his son Lennan and grandson Kyle, telling them for the 58th time about his alien abduction and subsequent pregnancy, when he got a sudden chill. It was the old Grim Reaper, coming to claim him. Kyle and Lennan knew immediately what was about to happen and began to sob and wail. Gary put up a good fight, but his time had come, and nothing was going to persuade the Reaper otherwise. The Reaper took Gary off to a better place and left a stone urn in the kitchen to mark Gary’s passing. Everyone in the family gathered around it to mourn the loss their beloved family member — except for Maura, who was still busy attending to the twins, and Mia, who barely knew her great grandfather and seemed oblivious to his death. Things were rather somber in Shanley Hall for a few days after, but thankfully a series of birthdays livened everyone’s spirits. Lennan was the first to suffer a birthday as he went from spry adult to slouching (but still smiling) elder. And grew into a very shy, very serious, and not very nice toddler. (So much for him being the heir to anything…drat it all.) Still cute, though. Awesome! Another update. Yay! Can’t wait for the next one already! Good work Jen. And it’s not blah at all. oh cool, cant wait to see Mia at sollege. I just found out about hte lifetime wants that’s pretty neat. Mia turned out to be one of the prettier sims. Looks like everything is going well with your families jen. I can’t wait to see what the girls get up to at University. That should be interesting. The two blonde girls, Mia and Aurora, will be interesting to follow through college. I missed whatever happened to the alien Shanley girl, though. n_n And the sattelite houses-are they all deleted forever? I understand how you feel, Uniiversity is wonderful! It’s so much fun! Way cool, Jen! I can’t wait to see Mia’s life in college. She’s a great person to be starting off your University Challenge with! I agree with what Leslie said about Parker and Jacinda looking like twins. That’s pretty neat! Enjoy playing and I hope work turns out okay for you! Hmmm…you might want to remember to lock the door when good ole Mia is woohooing and fulfilling her impossible want. Can teens woohoo in the EP? If so, can they get pregnant? I just wanted to know! XD Good luck and happy simming! 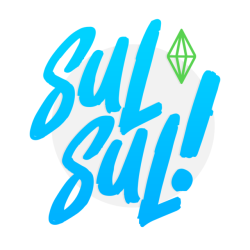 I bought Sims University last weekend and it’s kind of rekindled my obsession with the game. I don’t know that I have the RAM to attempt a Legacy Challenge, but I love reading everyone else’s! Leslie – You asked if I’m going to play Mia in college — the answer is yes, and she’s actually a junior already. I hope to post about it sometime today (probably when I get home from work)! QF – Teens still can’t woohoo or get pregnant as far as I know. Young adults can woohoo but are unable to get pregnant. I think there’s a hack somewhere on Mod the Sims 2 that will allow teens to woohoo and have babies, though. Daria – Hi and welcome! Glad you enjoyed reading the long, rambly history of the Shanleys. Have you tried starting a Legacy Family? If you don’t do the crazy “Have 10 Kids” want and just have one baby every generation (although twins do happen occasionally), it might not get too crazy/slow!